Give Her Amazing Experiences for Another Year! When your girl continues another year with Girl Scouts, she'll have another year's worth of opportunities to stand up, speak up and take the lead. She'll discover her inner G.I.R.L. (Go-getter, Innovator, Risk-taker, Leader)™ and you'll be able to watch her shine, again and again. Will she find a sustainable solution to a problem in her community? Will she explore the great outdoors? Build a robot? Learn to code? Conduct an experiment? With Girl Scouts, the possibilities are truly endless. Renewing during Early Bird means she'll discover all she can be and everything she can accomplish when she has the right tools and a safe space to shine. Join us for a fun night under the stars at Harbor Park. This event is rescheduled from May 18th. 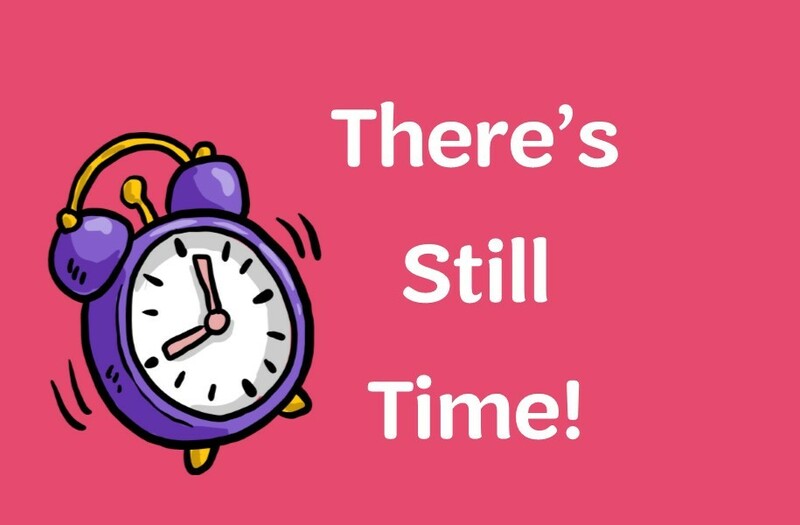 Missed the deadline? You may still purchase tickets for the overnight sleepover. To register, email customercare@gsccc.org by May 30. Open to ages eight and up. Let's celebrate Father's Day and paint your art's desire! Create your own masterpiece or follow along with our creative instructors. Share this special class with your dad, grandfather, mentor or friend. Join us as we enjoy each other's company and create a work of art. 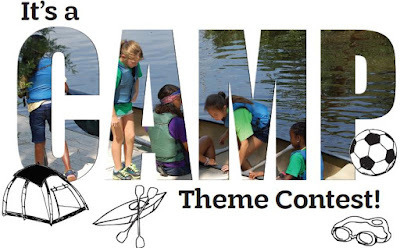 Win a Free Week of Summer Camp for 2019! All GSCCC offices and shops will be closed Monday, May 28, 2018, in observance of the Memorial Day holiday. Regular office and shop hours will resume on Tuesday, May 29, 2018. The Chesapeake shop location will resume Saturday hours until the second Saturday in June, on June 9, 2018. For Girls. By Girls. All Girls. Girl Scouts do what has to be done. 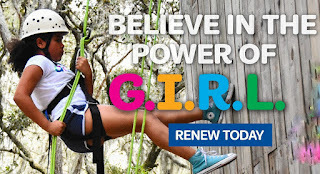 Not because it's asked of us, but because the Power of G.I.R.L. burns bright within every single one of us! Let's do even more amazing things together next year. Early renewal ends June 4th. Fun in the Sun Explore Patch of the Month! Explore Virginia Beach and/or Outer Banks, $1.50 each. Draw a flip-flop at checkout and receive a 5 percent, 10 percent, 15 percent, or 20 percent discount off the entire purchase. With a $35 purchase, you will receive a FREE flip-flop patch. May not be combined with any other offer. First 10 customers get a FREE gift plus a 10 percent discount off the entire purchase. May not be combined with any other offer. $0.99 fun patches (non-GSUSA) while supplies last. May not be combined with any other offer. Thank you for being amazing because you volunteer with Girl Scouts! Whether you are new to Girl Scouts or have years of experience, learning something new is always worthwhile. We offer online courses, classroom courses and outdoor courses. Discover the learning opportunities that we offer adults on the Learning Opportunities page of our Council website. Trainings are always being added, so be sure to visit this page regularly so you do not miss the training you want to take. Learn how to teach your girls how to plan their year and their troop meetings. Register on eBiz by June 3. Did your troop receive a well-rounded Girl Scout program this year? 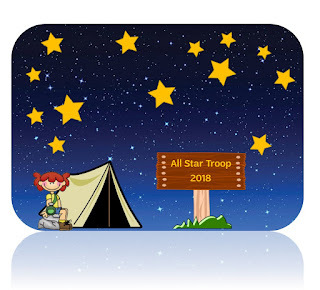 Is your troop eligible to receive a free All-Star Troop Patch? Complete the 2017-2018 All-Star Troop Patch Report and take the form to a GSCCC retail shop to pick up your patches. Patches will be ready for pick up from June 1 through August 31, 2018. Register on eBiz by June 11. Questions? Contact customercare@gsccc.org. For Girl Scout Seniors and Ambassadors. Attend this workshop to learn how to successfully plan and carry out a Girl Scout Gold Award project. Register on eBiz by June 10. 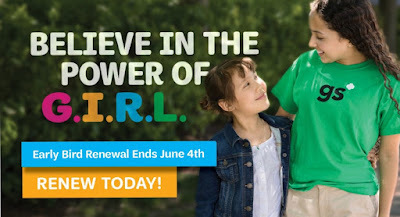 Will your service unit be the first to achieve 75 percent girl renewal and win the incentive money? The service unit early renewal incentive is still anyone's race! 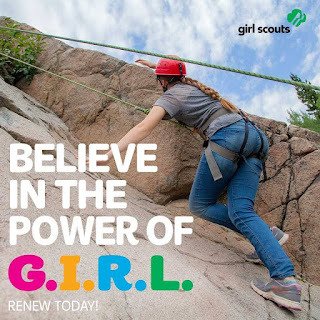 Early Renewal ends on June 4th, so now is the time to take advantage of the latest troop incentives and get your girls renewed. Girls in grades 9-12 and adult volunteers are welcomed. Volunteers will help with the restoration of the Eastern Branch of the Elizabeth River, our most polluted tributary, by installing native grasses and plants along the bank. The project will be one of the largest plantings and natural shoreline installations undertaken by the Elizabeth River Project. This is a great opportunity for older girls to work alongside our scientists, learn more about the environment and play in the dirt! Jefferson Lab in Newport News is hosting an open house tour of their Electron Beam Accelerator Facility. The event provides the public with an ideal opportunity to explore this world-class research facility and features tours of research areas; lectures; and numerous exhibits, demonstrations and hands-on activities. During your visit, you can learn about superconducting materials, supercomputers, particle accelerators, particle detectors, nuclear physics research, and much more. Shifts: 8-11 a.m. or 11 a.m.-2 p.m.
We are teaming up with the Differences Foundation, The Foodbank of Southeastern Virginia and the Eastern Shore, and Kroger supermarkets. It's time for the superhero in you to shine. This awesome one-day event will take place at five different Kroger locations throughout the south side of Hampton Roads. Girl Scout troops will compete to bring in the most pounds of food - food donated at the event and food donations leading up to your shift that you bring! When you come on the 19th to do your shift, bring your food with you to be weighed. A prize will be given to the troop with the most poundage. This is a first-come, first-serve, time slot registration. You may only choose one time slot and location when registering. Register by noon, May 15. Gather with our adult Girl Scout alums and friends at our Alum Paint Party on May 20 at 2:30 p.m! Being outside is a great way to inspire your creativity. Join us as we celebrate Art in the Outdoors. We will venture down the trail to the picnic shelters at Camp Outback to become one with nature and create your very own masterpiece, with a little guidance, of course. 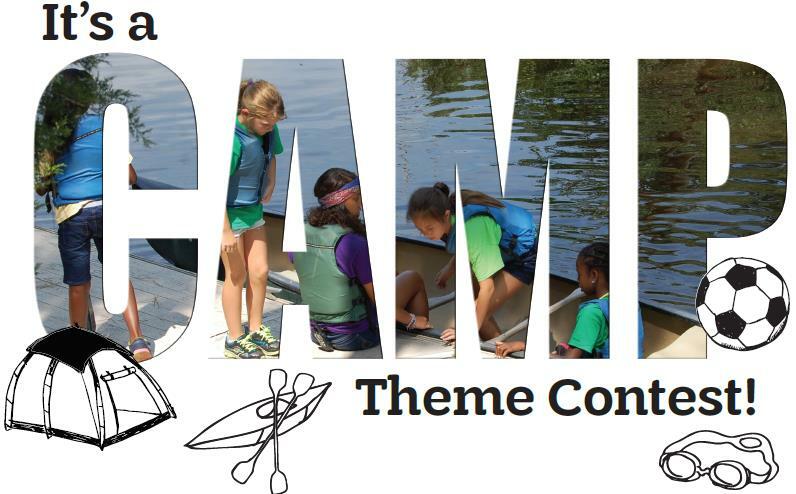 Only $10 for current Girl Scout members (fee includes canvas, instruction and a snack). Old Dominion University will host the 10th Annual Hampton Roads Conference for Girls and Young Women "Girls Rule the World," on Saturday, May 19, 2018 in Webb University Center. The daylong conference provides workshops and presentations that are intended to inform and empower girls and young women to become productive citizens and leaders. Last year's conference was attended by almost 400 girls, young women, parents and other interested adults. The conference is free and open to all young women ages 14 - 17 and accompanying adults from the Hampton Roads region and beyond. Ready to shatter glass ceilings? Seize the opportunity to train alongside a team of firefighters and law enforcement personnel. Gear-up and experience hands-on fire, emergency service and law enforcement activities. Challenge yourself to take risks, participate in rigorous physical fitness drills and meet women who are breaking down barriers and stereotypes in non-traditional public service careers. At the end of camp, we will celebrate your accomplishments at a graduation ceremony with family and friends. The weather is getting warmer, the flowers are blooming, and the tell-tale sneezing must mean that it is officially spring. May is a busy month! Troops are taking trips, planning end-of-year parties, attending service unit encampments and much more. As you are making your monthly to-do list, be sure to add "Renew My Troop" to the top. By renewing this month, you'll not only have a head start on the fun and adventure for next year but your troop may be entered into drawings for some incredible incentives. Does the name Great Wolf Lodge peak your interest? You can find out more information about this and other incentives here. This month always seems to go by fast. Make sure to renew today!